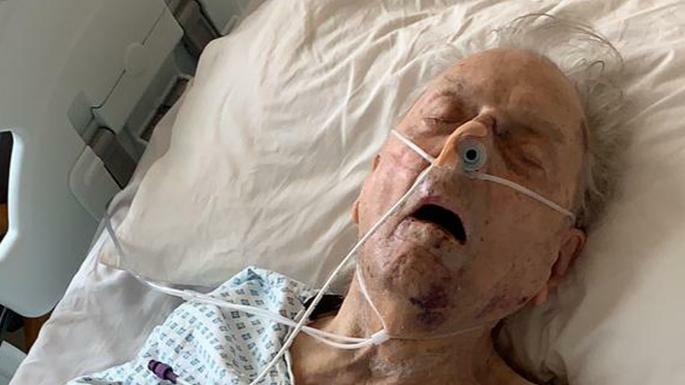 The tabloids are tucking into the brutal attack on Peter Gouldstone, a 98-year-old beaten by burglars at his home in Bounds Green, North London. The burglars – one or two; Mr Gouldstone cannot be certain how many people brutalised him in his own home – took a telly (estimated value: £50) and some other personal possessions. 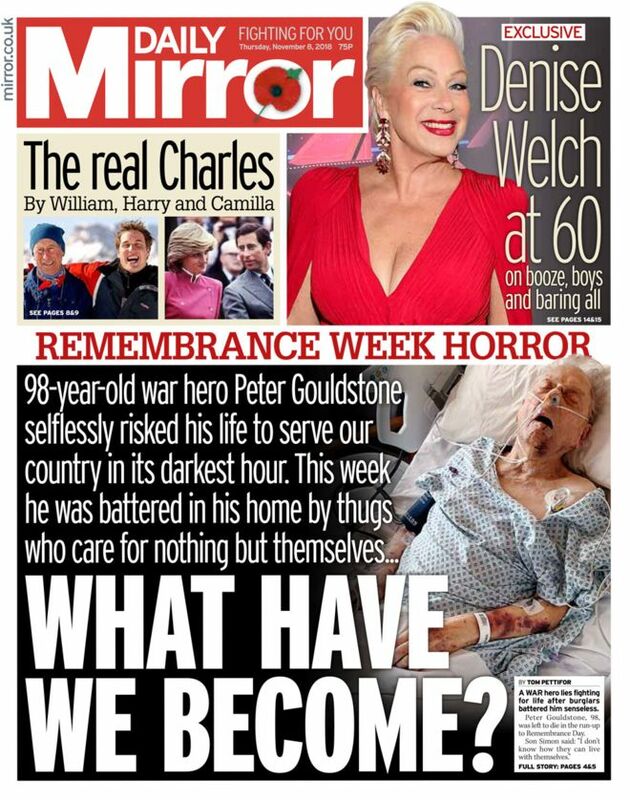 The Mirror leads with a question: “WHAT HAVE WE BECOME?” We? Us? Me and you? We didn’t change into violent thugs. We’d like the sods caught and punished. We’d like Mr Gouldstone to make a speedy recovery. We’d like more people to check on their elderly neighbours. We’d like more respect for the aged. And, no, no-one has yet blamed Brexit for this crime – but let’s not let the opportunity pass. If racist incidents can be pinned on Brexit, why not crimes against the aged? 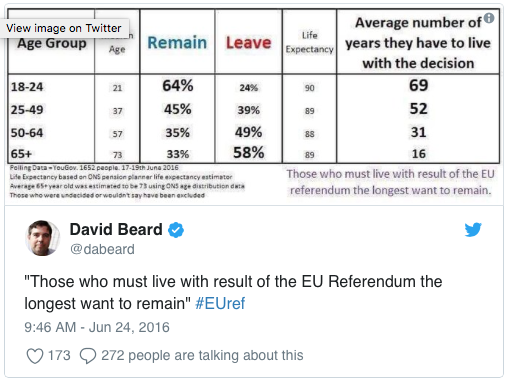 Did granny-bashing go mainstream when the older (and wiser) voted for Brexit? The Sun says Peter Gouldstone is a “war hero”. Best he wear his war medals from now on so the righteous, fair-minded youth and their middle-aged enablers can identify which oldies to hate. The Daily Record offered: “The generation aged between 18 and 30 have been done precious few favours by the ballot-box activities of their elders. They have inherited international uncertainty, low wages, zero-hour contracts, and a political system which, at times, looks broken beyond repair.” Louise Ridley told Huffington Post readers, the young had been “screwed by older generations”. “I saw this older couple in the street and just felt this sudden, enormous wave of fury towards them and their generation. It was almost physical,” said a knowing Guardian writer. Owen Jones wanted the young to “ring your grandparents” and tell them to vote Labour. The old, bigoted enemy within ruined the world. Get the old! Ageism is good. Maybe – just maybe – each of us is an individual who just account for their own actions. Let’s not give the bastards who attacked Peter Goulstone any excuse. It wasn’t us. It was them.